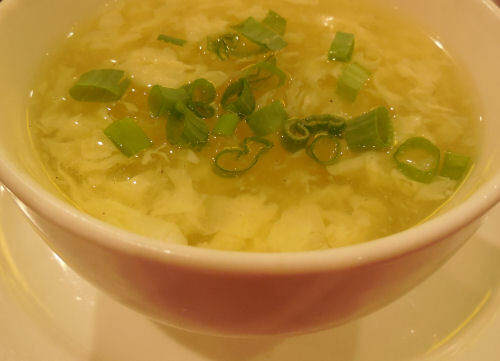 One of the staples of a Chinese Buffet is egg drop soup. It is mild and delicious and makes a great start to a Chinese dinner. There is no need to get take away when you have a desire for this taste, though. 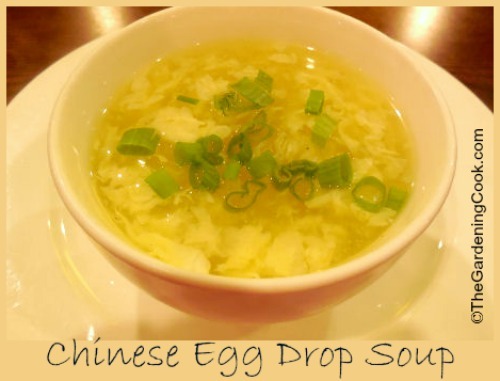 Just make your own egg drop soup! The recipe is fairly easy to do and ready in a flash. Serve it with crispy noodles and follow up with your favorite Chinese Stir fry recipe. This light and aromatic soup is the perfect starter for any Chinese meal. Combine the chicken stock, scallion whites, ginger, and peppercorns in a small saucepoan and bring to a boil over high heat. Reduce to a simmer and cook for 30 minutes. Strain the broth, discard the solid pieces, and season to taste with the Kosher salt. Combine 1 tablespoon arrowroot with 1 tablespoon water in a small bowl and mix until it is well combined. Whisk this into the broth and bring to a simmer, then reduce heat to low. Whisk together the eggs and remaining teaspoon of arrowroot until combined. Transfer the eggs to a small bowl and hold the tines of a fork over the edge of it. Swirl the soup once with a large spoon, then slowly drizzle the egg mixture into soup. Allow soup to sit for 15 seconds, the stir gently to break up the egg to desired size. Sprinkle with the green parts of the scallions and serve.